For Ben-Zion Gold, religious and folk music were an essential element of the rich culture of his youth, and they continued to be a source of deep meaning for him throughout his life. After he came to America, the memories of that world continued to sustain him: “To this day,” he writes in his memoir, “when I think about my family, I remember the Shabbats and festivals at home, the zmirot (hymns) we sang at the Shabbat meals that uplifted us and turned these meals into memorable religious feasts. These memories have made life worth living, in spite of their tragic deaths. 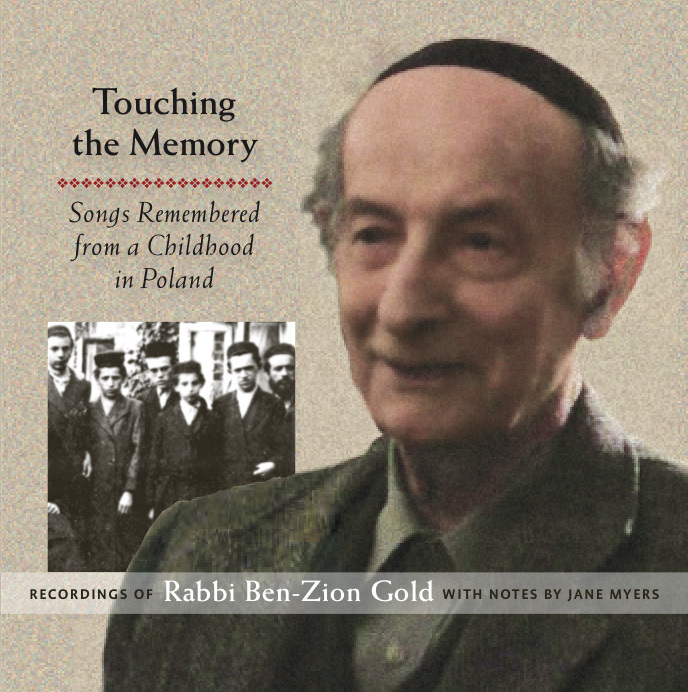 One evening in 1976, on a rudimentary cassette recorder, Jane Myers recorded Rabbi Ben-Zion Gold singing 11 songs and niggunim he remembered from his childhood in Poland. By 2012, when he was 88, she had recorded him singing 25 different songs and niggunim. Many of these tunes had not been recorded elsewhere. If not for Rabbi Gold’s survival and his prodigious musical memory, this music may have been lost forever. These recordings of Rabbi Ben-Zion Gold have been edited and compiled on a CD, together with commentary by Jane Myers, along with the text and translations of the Yiddish and Hebrew songs. CDs can be purchased for $14.00 plus shipping through the Yiddish Book Center’s online store. Learn about how these recordings came about.